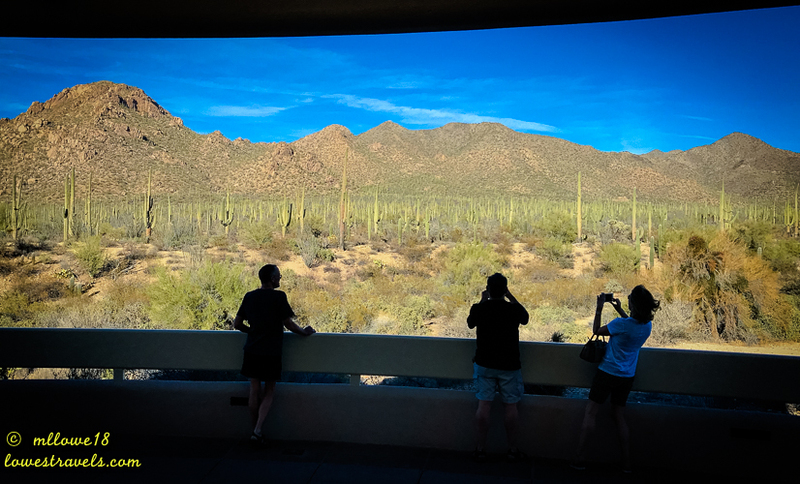 Tucson, AZ has become our unofficial annual wintering ground. Having unexpectedly spent six months here last year taught us a lot about the city, and we confirmed it’s not a place we want to be during the summer months. But this time through we were happy to meet up with a lot of friends, and we had a lot to celebrate! The first week after our arrival was spent seeing doctors and dentists. The good news is that after being poked and scoped multiple times, Steve’s three doctors (oncologist, surgeon and primary care doctor) gave him a good bill of health. He remains under their surveillance and will continue to check in every three months. I passed with flying colors as well, and that’s great news worth celebrating! How true those words ring in our nomadic lifestyle. 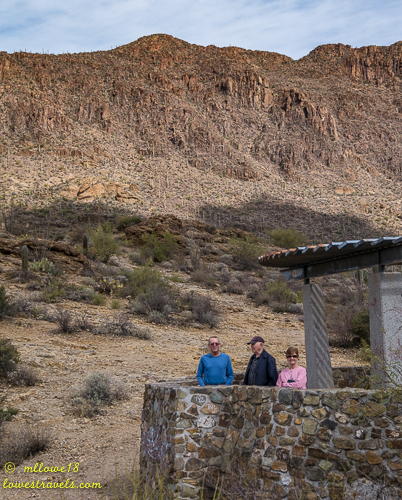 Tucson has become our hub for friendships, as many of our RV’ing buddies and old friends from California love to congregate here. 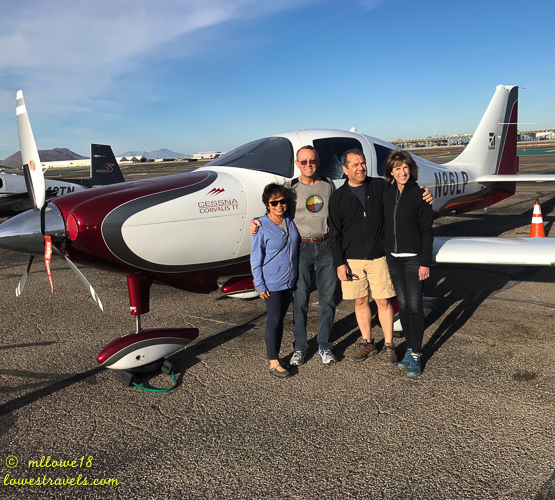 Rod and Lisa flew in aboard Rod’s awesome Cessna 400 from the Bay Area, and we were very happy to see them again. We packed in a lot during their short stay, as we tried to show them some interesting things in the area. 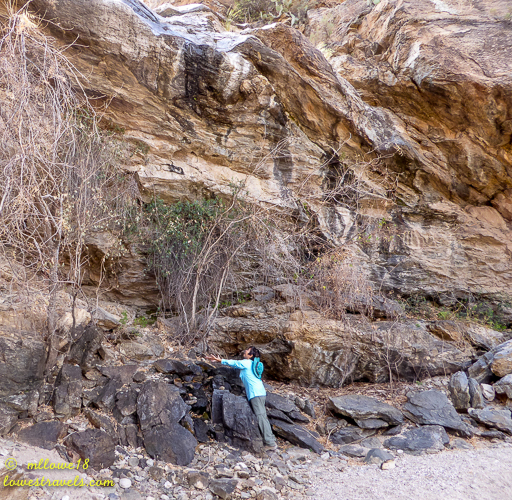 And they got no argument out of us when they asked if we could take them somewhere for a hike! 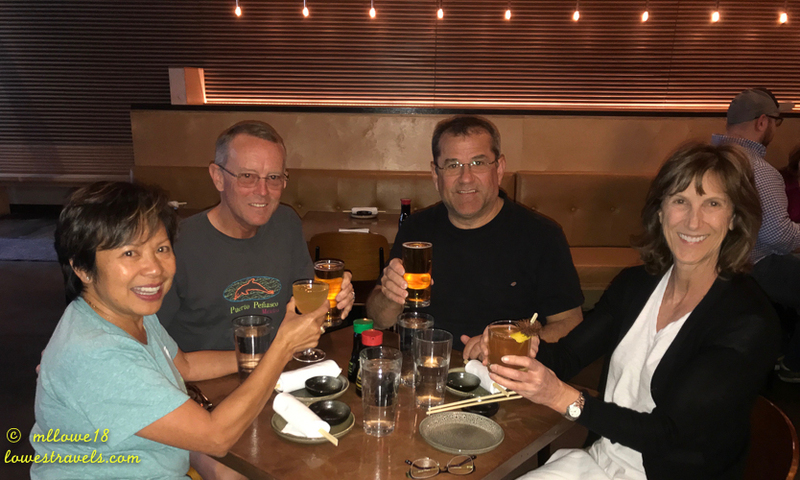 Nothing like enjoying unique drinks and sushi plates at Obon Sushi after a fun day with friends! 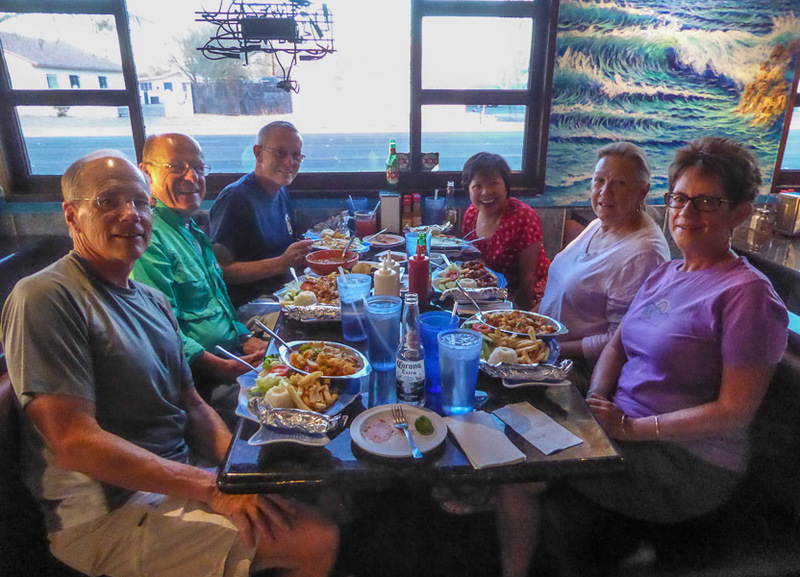 We were also happy to see Matt and Gloria, our friends from Edmonton, Alberta whom we have caravanned with twice to Puerto Peñasco. 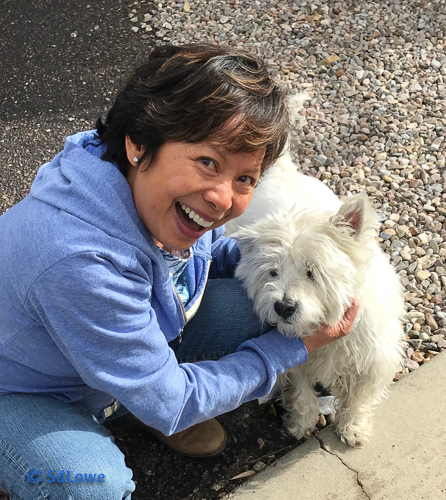 I got several kisses from their cute little doggie, Romeo! 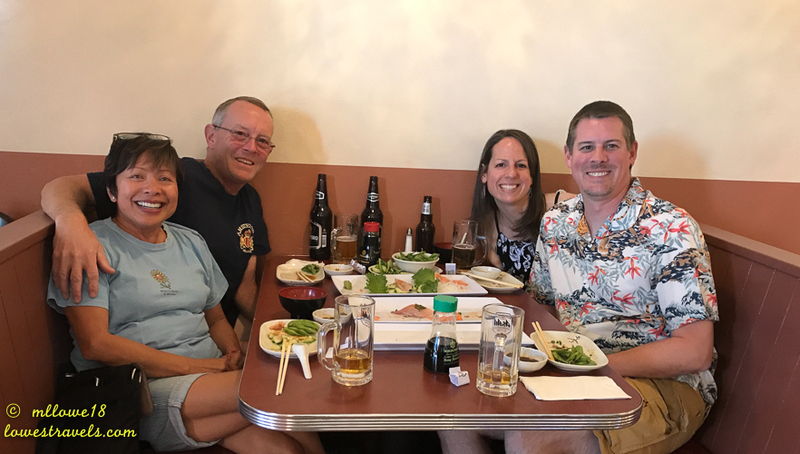 We continue to make new friends, finally meeting up with Kevin and Laura. Laura is a gifted writer, and her blog Chapter3 Travels is hilarious and fun to read. 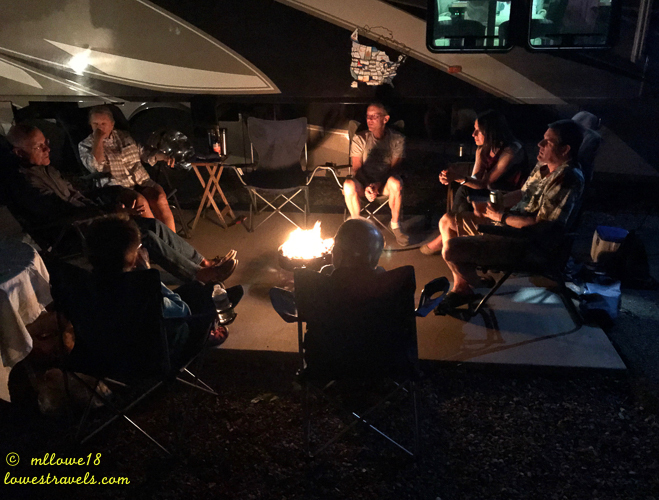 In our RV world, blogging and following bloggers has become a conduit and builder of friendships. Because of it, first meetings are never awkward for we feel like we already know the other folks long before the first date. 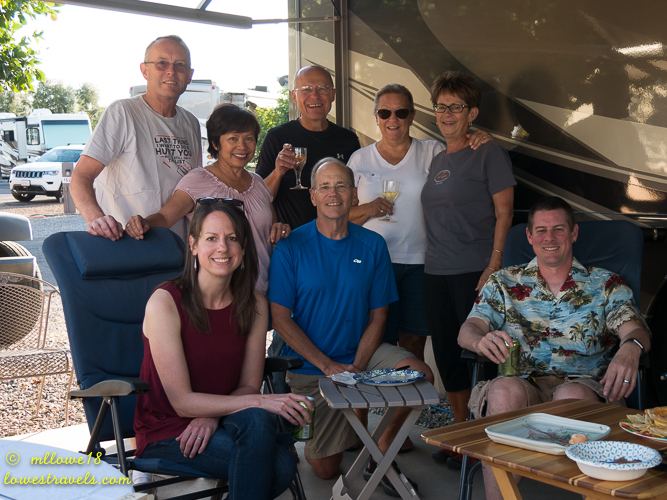 We attended several happy hours at our RV Park, and invited Kevin and Laura to join one of them. 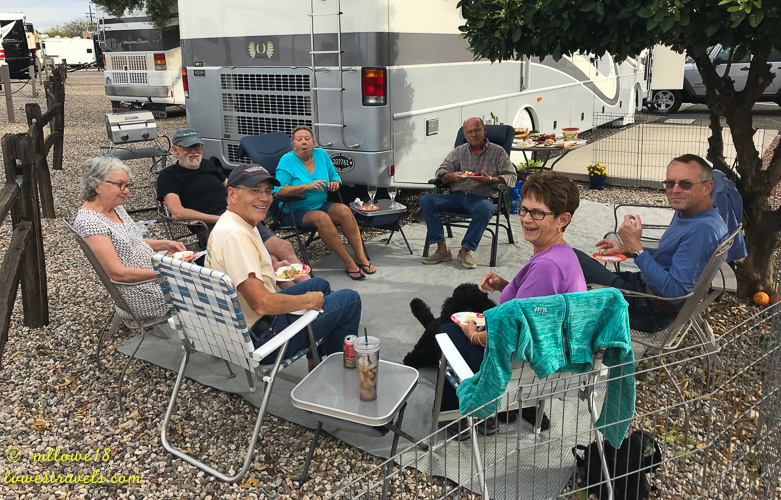 As usual, everyone wanted to know how they got into RV’ing and made suggestions about things to see and do along their westward route this year. Our circle of silvers and golds keeps on growing! 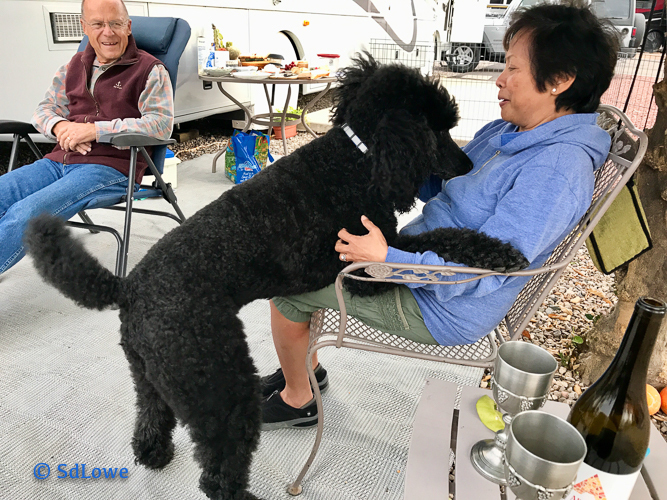 We are usually social butterflies during our winter pauses, as this is our time to reconnect with RV friends after a year of traveling in different directions around the country. These are the moments that make us appreciate this lifestyle so much! February is our special month. We were both born in February, I on the 4th and Steve on the 22nd. And of course in between those two is the day of hearts. What made my birthday notable is that the NFL threw a huge Superbowl party on that day, although I couldn’t attend 🙂 However, we did have a “day after Superbowl” gathering at a Mexican restaurant with John and Pam and Dave and Sue, among our great friends who comforted us via long distance during our tough times last summer. 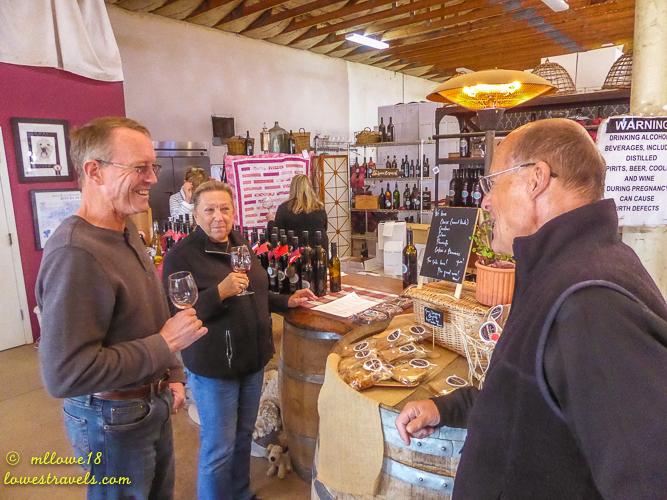 We celebrated Steve’s birthday with Dave and Sue, tasting some wines in Elgin. 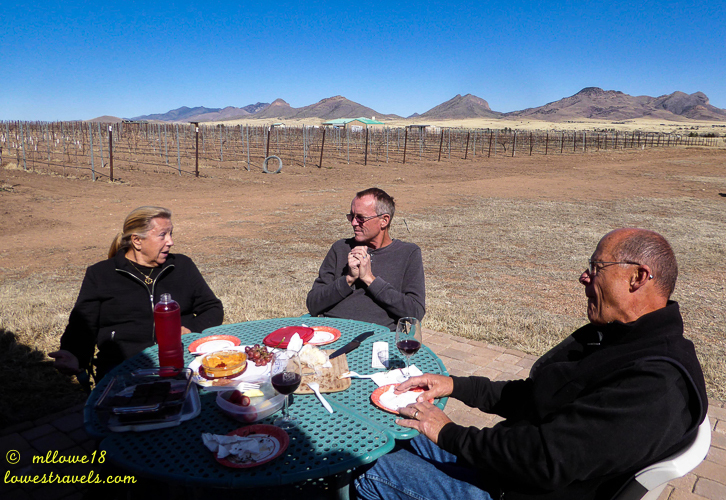 Can there be good wineries in Arizona, you may ask? The answer is a resounding yes! 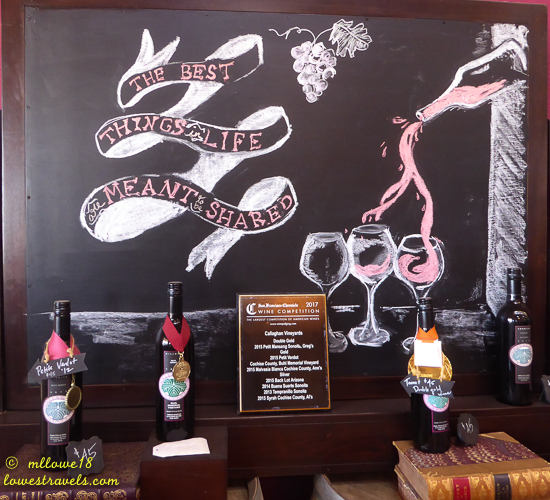 We were surprised how good some of the wines were, and several bottles were purchased along the way. 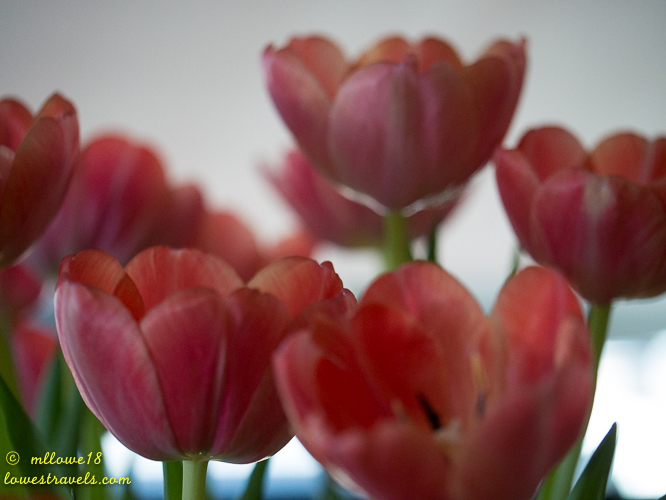 And on the day of hearts, my honeybunch brought me my favorite flowers, Tulips! What nice colors for Valentines Day! 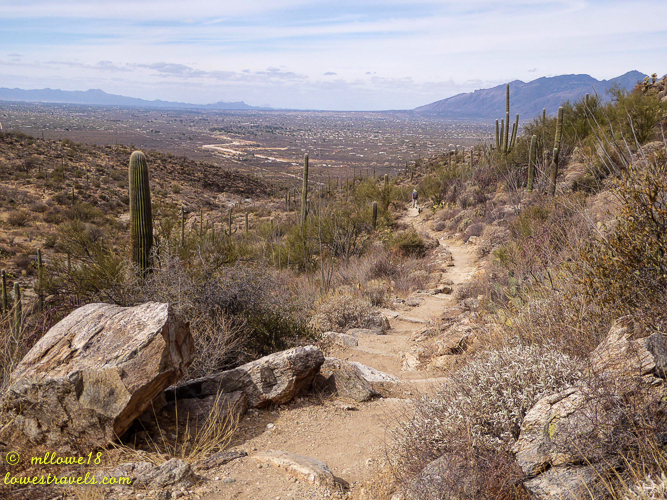 We recently managed to sneak in another hike on one of the trails at Saguaro National Park-East. 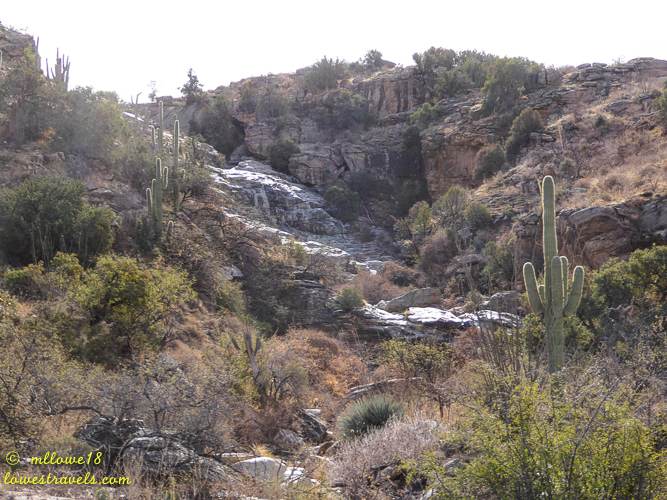 The Bridal Wreath Waterfall trail was moderately strenuous with great views and scenery as we climbed around the Rincon Mountains. The reward would have been a cascading waterfall if it had been raining, but on this day we had to be satisfied with just a few droplets of water. Only drops of water, but recent rains must have created a real waterfall! We have so many things to celebrate and be thankful for – especially our good health and great friends! Cheers! Next Up: It’s all about the birds! Hello Doc, too bad we will be long gone by then. We will be in Page, AZ by then. 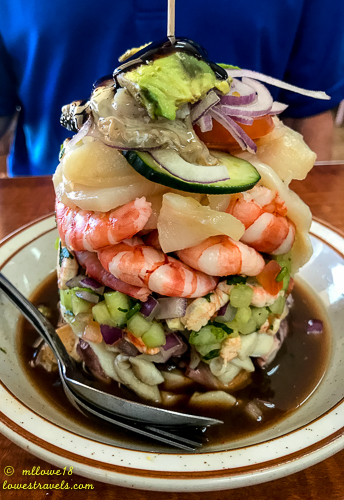 Thanks Erin, and that ceviche was really good too! Hope Mui continues to heal and recover. Wonderful to hear the latest on Steve’s health. Always fun connecting with our blogging pals… new and old. Look forward to seeing you guys later in the month! Looking forward too to our meet up! 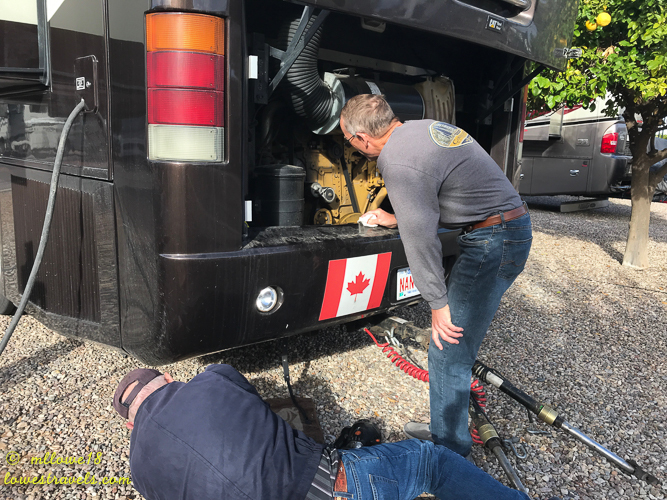 We truly feel so fortunate to have had the opportunity to meet you guys and our other “new RV friends”! I really am glad I started following all these blogs and started my own because, like you said, it really does allow us to get to know people long before we ever meet in person. We can’t thank you enough for being a ray of light during a less than stellar time for us. We really do appreciate it and we look forward to catching up down the road. Safe travels! Great medical news. Glad you had so much fun social time in Tucson. You deserve it! Thank you Jim and Gayle, it is always a relief to hear good report from doctors. Wonderful friends and nature’s wonders…what more could we ask for? Hoping life ahead is smooth sailing for all of us and that we continue to be awed daily by beautiful sunrises and sunsets. Thank you Luann, we continue to feel blest and grateful for life and friends. Have a great time in Patagonia! 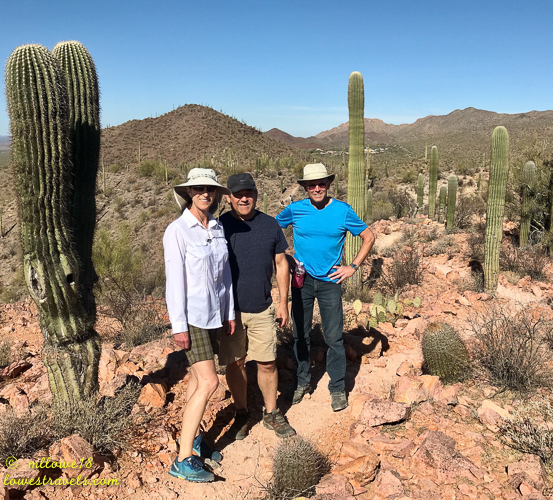 What a wonderful time you are having in Tucson! The friendships made on the road will be cherished for years to come. We missed you here in Tucson! Hope things will get better soon and you will be back on the road. Fabulous news Steve! So happy for the both of you. Happy belated birthdays. I put your wineries on my Pinterest. We will probably be out that way again next fall. We really enjoy visiting wineries. Thanks for the suggestions. Looks like y’all had a wonderful time in Tucson. So many good friends. Fabulous indeed, that is all the news we care about these days, doctors thumbs up. 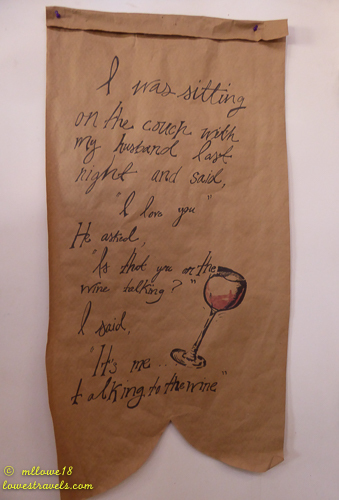 When you come back here, try the wines at Elgin and be surprised. 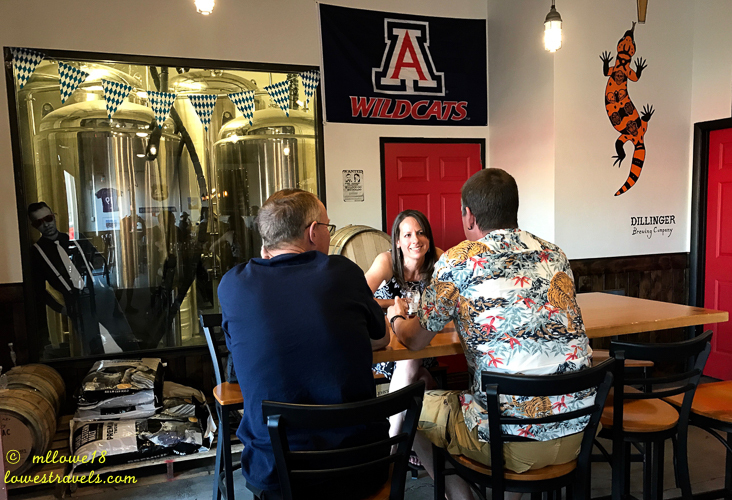 Yep, Tucson seems to be a gathering place for old and new friends! It was so great seeing you and Steve. What a relief to get great check-ups…you both look terrific! Thank you Gay, we are all relieve with good health news around. 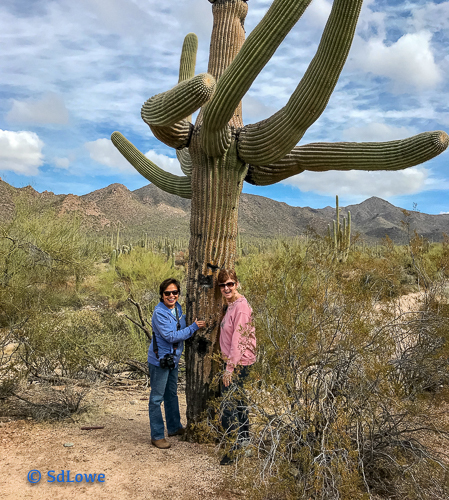 Tucson is the hub of friendships! Happy Belated Birthday to you both. Glad to hear Steve’s doctor’s visits went well. Looks like you’ve had a good winter with friends. See you soon. Thank you Faye and we are looking forward to our hike this Friday. So many beautiful times with good friends! It’s great to see you two back to your wonderful “normal” life — here’s to many more years of adventures and celebrations! It is always fun to meet with great friends that we cherished. Each meet up moments are forever remembered. It was most definitely a wonderful February for both of you with so much good news to celebrate:) So nice to get together again. 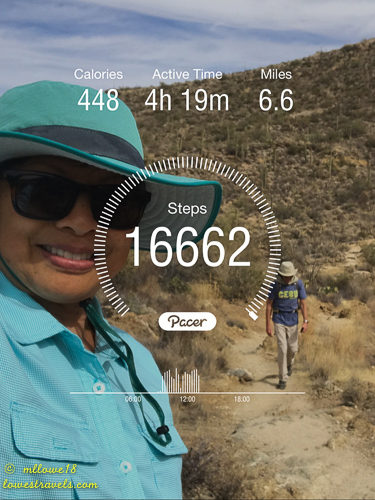 It is always great and a pleasure to get together again for hikes and happy hours! “Make new friends but keep the old, one is silver and the other gold” – a song we used to sing in Girl Scouts so long ago. I love it. You were very busy eating and visiting here in Tucson weren’t you! And photographing friends….this post holds the most pictures ever taken of me, a dubious distinction! Especially the one where I look like I’m about to vomit and everyone is pretending not to notice! That song has been singing in my head ever since, and yes that was the song during my Girl Scout days! Happy Birthday you two love birds! You have more friends and fun than most people have in a life time. Enjoy your freedom and the beautiful desert. 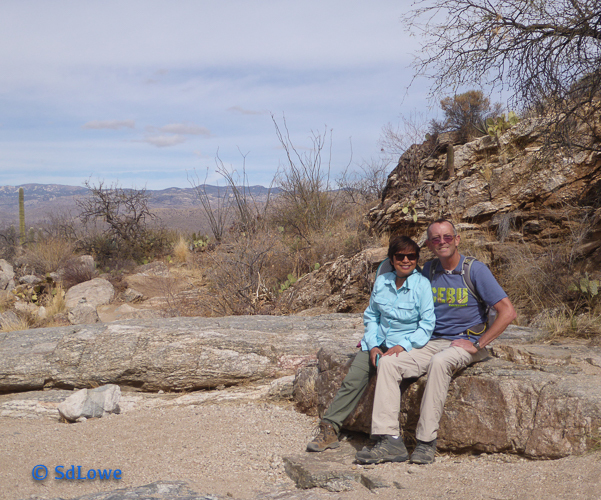 Thank you Marcy, and yes we are enjoying our time here in Tucson being social butterflies.